The problem isn’t your remote control. When your TV doesn’t turn on after months in a storage unit, it could actually be the result of improper packing and preparation. As you begin to pack your electronic devices, properly prepare them for the long winter. There’s no telling whether you’ll remember the difference between the seven black cords you packed away in a box. Label them to keep them organized and to keep you from guessing in the future. Instead of leaving cords connected to electronics, unplug them so they won’t see any damage while they’re packed away. If you’re concerned about remembering which cord was plugged in where, snap a photo to remember. It’s also a good idea to remove any memory cards or disks that you keep in drives of cameras and keep them close at hand instead of in a storage unit. Don’t forget to clean, either! Items can become dusty or dirty in storage, and cleaning them beforehand will save you from major cleaning later. After you’ve prepared your electronics to spend some time in storage, it’s time to pack them away. Try to find the original packaging. This is the best box you can use, as it will snuggly hold your large TV or stereo and was already designed to protect it during travel and storage. 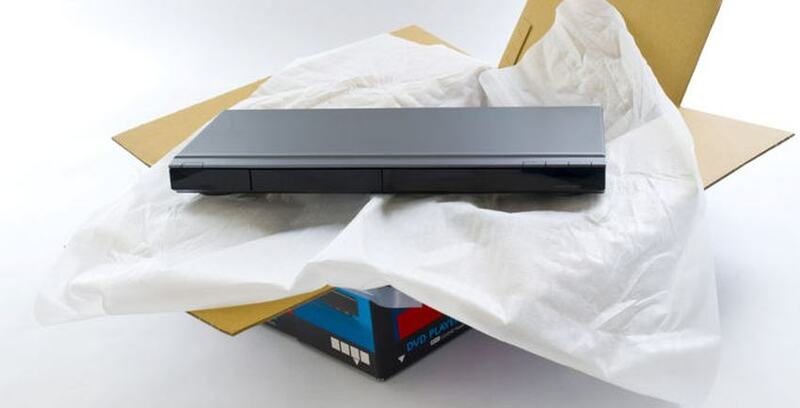 If you’ve searched high and low with no luck of locating the original package, find a box of similar size and use packing materials to ensure it’s tightly stored. Instead of using plastic when you store items, use cloth or fabric, instead. Plastic has the potential to encourage mold and mildew growth, and cloth is better at protecting your expensive belongings, anyway. Are you expecting a temperature drop when your items rest in storage? Consider the cold when you’re selecting a storage unit, as many electronics behave poorly after being exposed to freezing temperatures. Many storage facilities offer climate-controlled options so you can rest easy knowing your electronics won’t be a victim of permanent temperature damage. Be sure to store your electronics off the ground as an extra precaution. When you’re looking for a place to store your electronics, Storage Direct can help. We offer climate-controlled facilities so you can be sure your electronic devices won’t freeze or fall victim to the elements. Contact us today to learn more and find a storage facility near you.